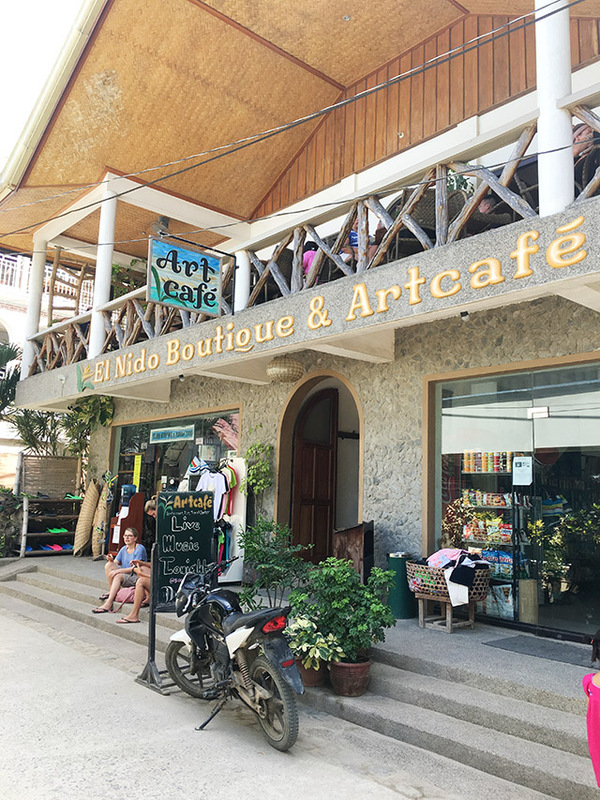 Artcafe is an El Nido institution and one of the oldest businesses in downtown El Nido. 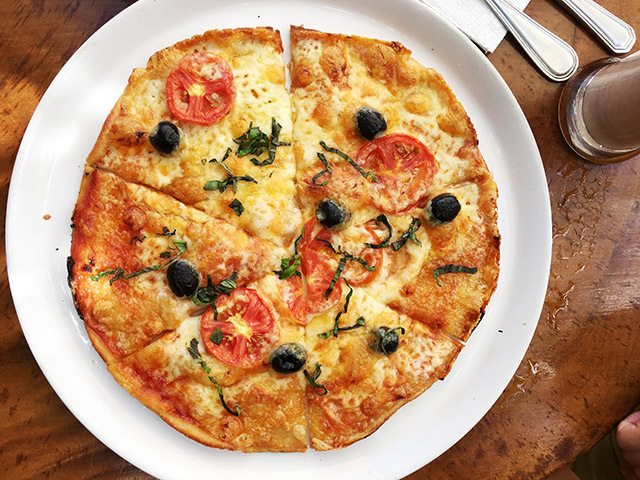 They’re a one stop shop for eating, booking tours, renting kayaks and paddleboards, and shopping. 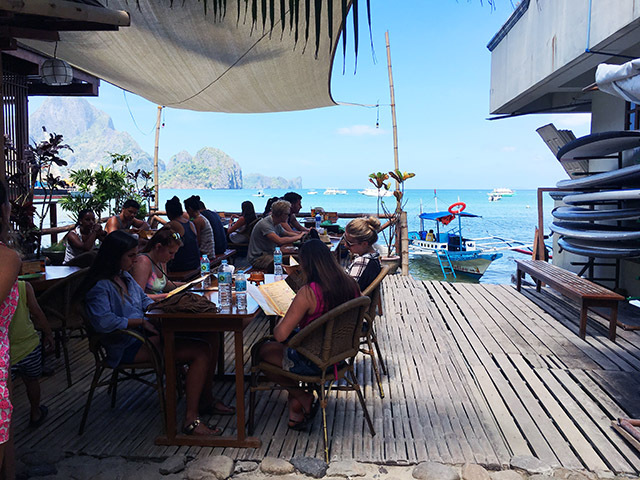 They have an outdoor restaurant right beside the ocean, a souvenir shop across the street, and a spacious restaurant above the shop that plays live music in the evenings. 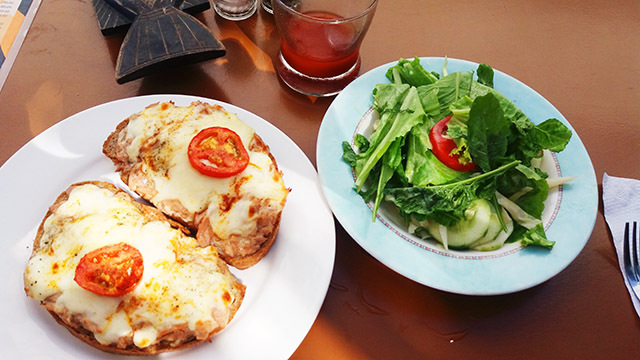 Artcafe bakes their own bread and they’re one of the few places you can get wheat bread. They also grow all their greens on their own organic farm, so if you’re looking for a salad fix, this is the place to go! 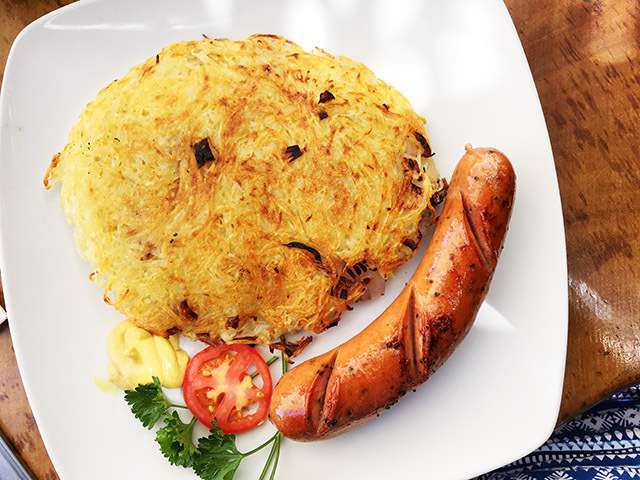 Their menu features classic American fare like salads, pizzas, and sandwiches, as well as a couple of Filipino dishes. 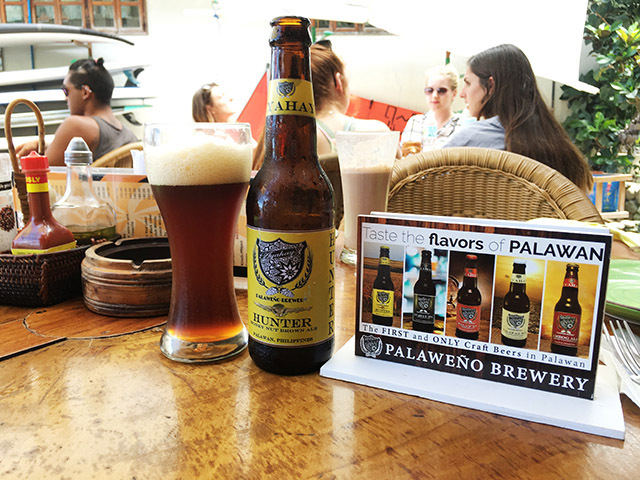 They’re also one of the few places that serve craft beers from Palaweno Brewery. We find ourselves coming here regularly to buy things like electronics, toiletries, and snacks. 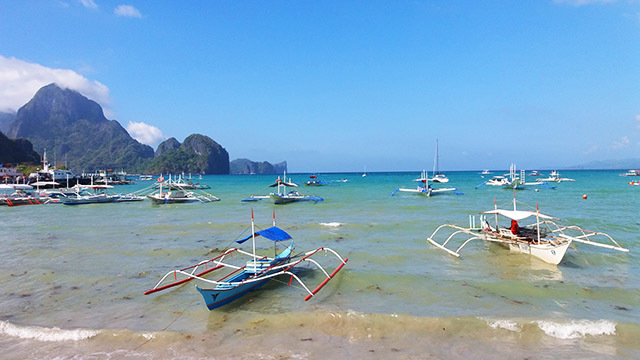 Plus they’re one of the very few establishments in all of El Nido that accepts credit cards!